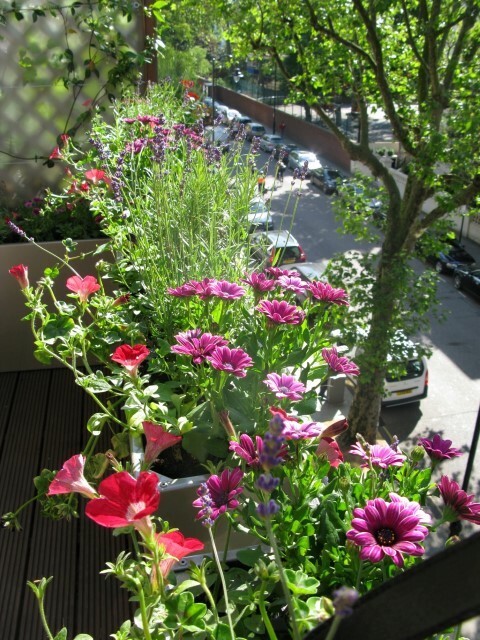 At The London Gardener we maintain new and existing gardens to the highest standards. We take pride in making your garden look its best, with all maintenance work carried out by our head gardener and her team. Our one off maintenance visits allow you to take control of your garden and inject some new ideas for planting and design. These visits can take place at any time of the year but we will always prune and tidy your garden and refresh the planting. We also offer advice and ideas on your garden’s development, and information about how to best to look after your garden. Biannual maintenance visits help you prepare your garden for the coming season. We visit your garden twice a year: once in early spring and once in late autumn and cover all of the jobs needed to ensure your garden stays in tip top condition for you to enjoy all year. In early spring we prepare your garden for the forthcoming growing season, including pruning, feeding, applying lawn treatments, and planting containers and summer bulbs. In late autumn we tidy your garden for winter, plant spring bulbs, prune shrubs and herbaceous plants, advise on tree work, feed lawns and top dress boarders. If you need more frequent help to stay on top things our quarterly maintenance visits are ideal. In early spring we prepare the garden for the forthcoming growing season, including pruning, feeding, applying lawn treatments, and planting containers and summer bulbs. In mid-summer we assess your garden at the peak flowering time, checking on plant health, and carrying out general maintenance. In late autumn we plant spring bulbs, prune shrubs and herbaceous plants, advise on tree work, and feed lawns. In winter we tidy your garden, top dress boarders, and prepare your garden for the winter. All of our tree work is carried out by a fully qualified tree surgeon and all green waste is removed and recycled.